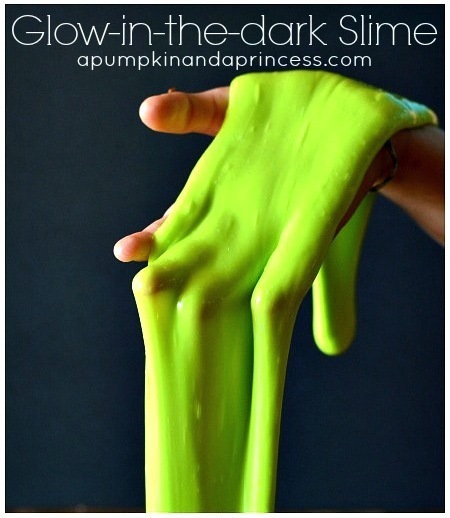 I am so excited I found this recipe for Glow In The Dark Slime!!! What a great project for both children and adults! I know my husband and I will be making this soon. I just need to wait for the perfect, lazy weekend and we will be busy playing with this slime for hours! There is not much to the ingredients at all. You probably already have most of these somewhere in your home. You will need to gather: Elmer’s glue, borax, neon food coloring, and glow in the dark paint. For the more information on how to make this awesome goop, visit A Pumpkin And A Princess.